The National Association of Tower Erectors (NATE) today announced the member companies who have been formally approved to participate in the STAR Initiative program for the 2016-2017 year. “Companies involved in the STAR Initiative program have demonstrated that they are the cream of the crop and this year’s participants certainly live up to the high standards NATE has established through this program,” said NATE Resource Specialist Nikki Gronau. 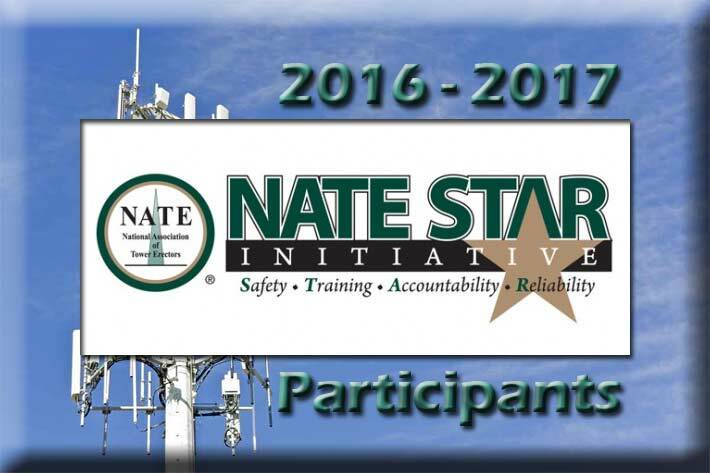 The NATE STAR Initiative is currently entering its sixth year and is the Association’s signature program designed to help companies operate safely and recognize tower contractors, owners and carriers who voluntarily adhere to higher safety standards. The NATE STAR Initiative emphasizes Safety, Training, Accountability and Reliability by requiring participants to commit to requisite levels of training, site safety audits and the implementation of safety programs while adhering to industry best practices. STAR Initiative participants also receive discounts on designated training courses offered on the NATE EXCHANGE, a dynamic website platform connecting companies to training courses offered in the tower industry. Participating companies also can utilize the STAR Initiative App designed to enhance their program experience and provide a convenient means of submitting Site Safety Audit documentation in real-time directly from the field via smart phone, tablet, computer or other mobile devices. The official NATE STAR Initiative App is available as a free download in both iOS (Apple) and Android platforms. “I applaud the 2016-2017 STAR Initiative companies for making a commitment to achieve the highest levels of safety and quality in the industry,” stated NATE Chairman Jim Tracy of Legacy Telecommunications, Inc. in Burley, Washington. 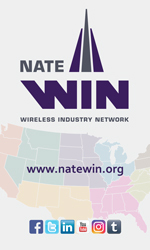 “The participants involved with this premiere program are in a strong position with the wireless carriers, tower owner/vertical realtors, OEM’s and turnkey/construction management firms as STAR Initiative participation is often utilized as a key requirement factor during the vetting process that leads to the hiring of contractors,” said Tracy. E.M. Enterprises General Contractors Inc.
Microwave Transmission Systems, Inc. Mid Atlantic Contracting, Inc. .
Nex-Tech, Inc. – Mobile Radio Div.